Most business people today are looking for solutions that will help their businesses prosper. Joining a Chamber of Commerce can help a business succeed by digitally documenting businesses for local and internet search; and because this system has been used to document thousands of other businesses belonging to Chambers of Commerce and organizations all over the country, prospective customers can find local business services just about anywhere through an internet search. Credibility - of being part of an established and influential business organization. Networking - through membership luncheons and mixers. 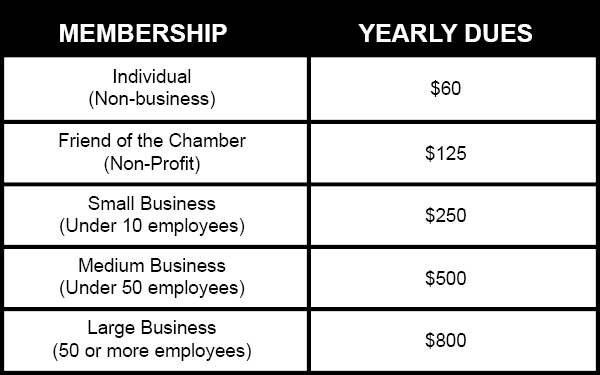 Referrals - from Chamber contacts and through the Chamber web site. Business Advocacy - through the Chamber's interface with local government. Learning Opportunities - through luncheon speakers and Chamber seminars.